With Halloween now over, you might have thought the scariest time of year for your teeth had passed. While candied treats certainly present a problem for maintaining a healthy and radiant smile, most of us eat foods every day that could contribute to needing to receive family dental care in Oklahoma City. The fact that many of the foods that damage our oral health are commonly perceived as being healthy only further contributes to the odds of sabotaging your smile without even realizing it. 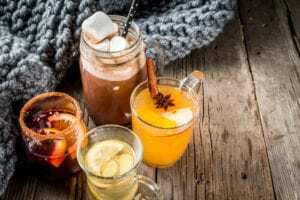 So that you can keep smiling brightly and enjoy cavity free visits when receiving family dental care in Oklahoma City, here are a few foods you might want to consider avoiding – or at least limiting – in the future. 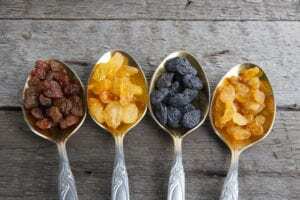 While eating fruit is a part of a healthy diet, eating dried fruit is very similar to eating candy. Much like its sweeter counterpart, dried fruit easily sticks to the surface of your teeth and has a high sugar content. This allows sugar to become stuck between your teeth – the perfect place for cavities to start to develop. What makes dried fruit so problematic is how long it lingers in the mouth after eating. By sticking to the surface of your teeth, dried fruit provides plaque – an oral bacteria responsible for tooth decay – with plenty of fuel it can use to produce harmful substances that erode tooth enamel. The longer dried fruit stays in the mouth, the more time plaque has to feed off its sugars to damage your enamel. So instead of scooping up a few handfuls of trail mix the next time you get hungry, try sticking to eating whole, fresh fruit instead. If being honest, you’d probably admit that drinking soda does your teeth no favors. Even admitting this, you might not realize just how much damage drinking soda can actually do to ruin your smile. Just one 12-ounce can of soda contains an eye-popping 39 grams of sugar – that’s nearly 10 teaspoons! The FDA recommends that women consume 6 teaspoons and men 9 teaspoons a day. That means one can of soda contains more than the daily recommended amount of sugar anyone should consume. But the high sugar content in soda is only part of the problem. Soda is also incredibly acidic. Foods and drinks high in acidity work to break down tooth enamel, making soda a double-whammy to your oral health. 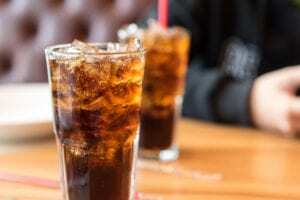 The acidity of the beverage works to weaken tooth enamel, making it more susceptible to the damage done by plaque, which absolutely feasts on all of the sugar soda contains. So if you want to save your smile, skip the soda and drink water instead. Once again, something that many people consider part of a healthy diet actually presents a serious risk to our oral health. 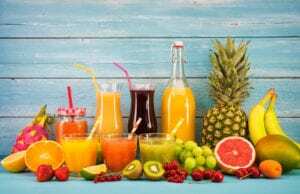 That’s because fruit juice – just like soda – contains a high amount of artificially added sugar, sometimes as much as 10 teaspoons per serving. Fruit juice also tends to have a higher acidity, which we’ve already covered as problematic. Fortunately, you can take a few steps to keep fruit juice as part of your diet. First, start by only buying brands that don’t contain any artificial sweeteners. You can also drink certain types of fruit juice – such as apple juice – that usually contain no added sugars. You might also consider watering down your juice to lessen any acidity and to dilute the sugar. Fortunately, you can take a few steps to minimize the damage your teeth face by taking a few precautions. First, try switching to a whole wheat pasta. 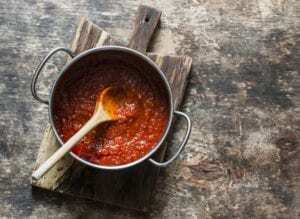 Next, try reducing your reliance on pasta sauce by substituting a mix of whole vegetables instead. Zucchini, red peppers and even diced tomatoes make a healthier mix for your teeth than a jar of Prague any day. While a nice warm cup of tea or hot coffee may help to jumpstart your day, it comes at a cost to your oral health. Both beverages are acidic and diuretic, which means they can dry out your mouth. Saliva acts as the body’s natural defense against plaque and the acid in the foods we consume. When the mouth dries out, our teeth become more susceptible to the forces that cause tooth decay and cavities. Start adding sugar to your frappe or mocha whip and the problems your teeth can face after drinking coffee becomes even more significant. Fortunately, you can still enjoy your morning tea of coffee by rinsing your mouth with water after finishing your cup. Not only will the water wash away any lingering acid, it will also help to rehydrate your mouth. While we often think of our diet as affecting our weight, what we eat and drink can also seriously impact our oral health and need to receive family dental care in Oklahoma City. If you have any questions about what your diet can mean to the health of your teeth and gums, make sure to ask any member of our team during your next visit to Shepherd Mall Family Dentistry. Why is Oral Cancer on the Rise?